This year we were able to raise over $18,000 for our scholarship fund, providing 8 scholarships to graduating high school seniors who will be attending college in the fall to pursue a degree in engineering or computer science. Our scholarship recipients will be attending schools within and outside of California, including Princeton, UC Berkeley, UC Santa Barbara, and Harvey Mudd University. We would like to thank our donors for helping make these scholarships possible. Learn more about the 2017 Golden Gate Section scholarship recipients below. Melea is a graduating senior from The Branson School and has a long interest in engineering and the environment, performing biological research to protect Northern California’s rocky ecosystem and working with researchers at UC Berkeley to understand plant genetics and its role in environmentalism. In the Fall, Melea will be attending Princeton University to major in Environmental Science and Engineering. Wai is a diligent student from Lowell High School in San Francisco. Her excitement for her Java and C++ has motivated her to pursue a career in computer science at UC Berkeley. Outside of her programming homework assignments she has also participated in the Girls Who Code Program, which has successfully exposed many young girls to careers in programming and computer science. Outside of programming Wai has been active in her local community by advocating for more housing options in the city. Regina is an enthusiastic student from Alameda High School and will be attending UC Santa Barbra in the fall, where she has received the Regents’ Scholarship, the highest scholarship available for academic achievement at the university. She will be pursuing a degree in Computer Science, and outside of her programming interest, Regina is also active with her creative side by playing the piano and through her French club. Ashley is a resilient student from Branson High School. She has a passion for bioengineering and understanding how engineers can work to improve the quality of life of individuals with genetic diseases. In the fall, Ashley will be pursuing a bioengineering degree from Santa Clara University. Kirby is a graduating senior from Lowell High School and her interests are in medicine and biomedical engineering. She has already had some real world experiences as a researcher investigating neuroplasticity at UCSF. Outside of her research interests she plays violin and participates in math competitions. In the fall, Kirby will major in Biomedical Engineering at Johns Hopkins University in Baltimore. Emily is a creative student from San Marin High School. She has an interest in using engineering as a way to create solutions for global challenges, and has started her engineering work locally. Emily re-engineered her own bedroom to solve a problem we’ve all faced in the past – how to control your light switch from the comfort of your bed. In the fall Emily will attend Harvey Mudd College for Engineering. Lauren is a passionate student with an interest in computer science after participating in ChickTech. Through that program, Lauren learned the value of strong female mentors. Lauren is graduating from the Philip & Sala Burton High School and will be attending Princeton University in the fall. Lauren wants to use her engineering degree to create a positive impact in social issues, including poverty, hunger, and homelessness. 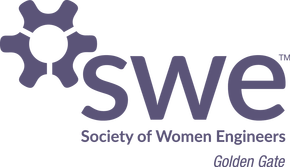 Subscribe to our SWE GGS mailing list! Enter your contact information to join our mailing list. Please click the submit button only once then check your email for a confirmation email.